Yesterday I went on a bit of a diatribe about the FDA’s reluctance to define the word, “natural”. …”we’re not sure how high of an issue it is for consumers”. . . The first major manufacturer to launch a line of natural cleaners, Clorox will distribute Green Works products at major retailers and will support them with an extensive advertising campaign. …which means we’ll be seeing a lot more of the word, “natural” out there. Currently the FDA has this say about use of the word, “natural” on product packaging. Until the FDA chooses to better define use of the term, “natural”, consumers should read ingredient lists and avoid cleaning products that contain volatile organic compounds. A list of some of the top ingredients to avoid can be found at National Geographic’s Green Guide. And…don’t’ forget to write to the FDA. We need their input now more than ever. Have you heard anything about these “green works” products? I saw them in the grocery store yesterday — is this a good product to invest in for green household cleaners, or is it no more green than the regular stuff? You should also note that Clorox bought Burt’s Bees, a natural personal care product manufacturer. The USDA is also doing it’s best to water down “naturally raised” labeling on meats. I wrote about Clorox and Burt’s Bees on http://reallynatural.com. Interesting story behind the company and sale, but I do worry. I wrote about Clorox and the Burt’s Bees acquisition here. and some of my thoughts on major corporations buying natural brands- on the one hand they can help make natural brands more available on the other- it’s more likely that the natural brand managers will learn from the big company managers than vice versa. Thanks for the comment on meat. A few folks have asked me to discuss the recent USDA decisions…It’s alphabet soup this week with the FTC, USDA and FDA all making major decisions…check back for more of our posts on these issues. 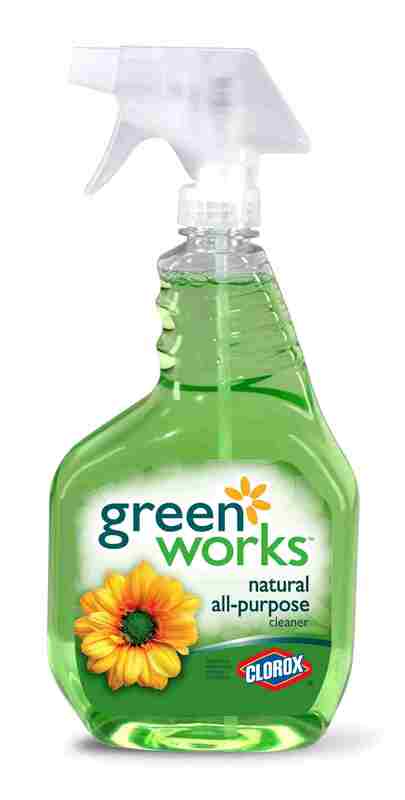 I worked at Clorox (but don’t anymore) during the period GreenWorks was being developed. I was truly impressed at the dilegence the “chemical company” put into making this a true natural product. Internally, there were a lot of discussions around being truthful and developing a product which would truly be “green” (the “standard” was — would naturalist’s in Berkeley buy this product?). As someone who is not a fan of using chemicals in my house (if at all avoidable, but still want products that work. . . I feel I get the benefit of both with GreenWorks.